1- The analysis begins with a cost analysis. Edward O’Neal, a Wake Forest University Professor said, “Forty-three percent of a fund’s expenses are omitted from their expense rations and the transaction costs of some funds exceed four hundred percent of their expense ratios.” Mark M. Carhart, USC Professor said, “Expense ratios, portfolio turnover, and load fees are significantly and negatively related to performance. Expense ratios appear to reduce performance a little more than one-for-one. Turnover reduces performance about 0.95% for every buy-and-sell transaction.” John C. Bogle, Chairman and Founder of the Vanguard Group said, “Every 0.10% of lower expenses accounted, on average, for 0.20% of enhanced net return.” “Expenses accounted for 83% of active managers shortfall compared to an unmanaged index, and consumed fully 9% of the funds’ average return.” Once you understand your true cost we can then show you how to lower your expenses. 2- Next, the discussion will include the historical returns of basic asset categories or markets and compares them to every investment’s long-term enemy — inflation. 3- Further, the analysis attempts to estimate, via broad-based asset category selection, the current mix of your portfolio and to simulate the mix’s historical risk and reward characteristics. 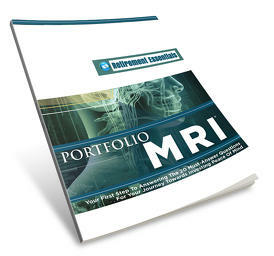 4- Finally, the Free Market Investment Analysis allows you to compare the risk versus reward characteristics of your portfolio against those of broadly diversified mixes weighted toward small cap investing, international fixed income and equities, and high book to market value securities. In both the analysis of your current portfolio and the mixes labeled asset allocation portfolios, indices have been used to demonstrate the performance of the various categories chosen. Studies by Brinson, Hood, and Beebower* demonstrate that 91.5% of a portfolio’s performance is determined by its allocation policy. To this end, the goal of free market investing is to provide broadly diversified portfolios that deliver market returns with reduced risk. Most everyone will say that diversification is important to them and believe that they are diversified. However, in reality, most people are falling extremely short when it comes to actually achieving true diversification in their portfolio. Once you truly understand your current allocations we can then help you to achieve true diversification. Call our office today to get your Free Market Investment Analysis. *Source: “Determinants of Portfolio Performance,” Financial Analysts Journal, Gary P. Brinson, L. Randolf Hood, and Gilbert L. Beebower, 1986, 1990, 1991. **Disclaimer: Past market performance is no guarantee of future investment performance or success. Diversification does not ensure a profit or guarantee against loss; it is a method used to help manage risk.